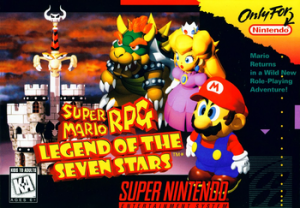 Super Mario RPG: Legend of the Seven Stars for the Super Nintendo is one of my all-time favorite games/memories from childhood. I played the game with my brother for hours on end and was enchanted by the graphics, music, and characters. Sadly, around age 10 or 11 my Super Nintendo broke, rendering the dozens of games I had purchased for the console useless. I traded and sold them all away except for one: Super Mario RPG. I just couldn’t do it to myself to let it go. If, for any reason, I got ahold of another Super Nintendo, I wanted to be sure that I could play that game. I knew it was the only one on the system I would ever feel strongly enough to go to great lengths to play again. Years passed, but I never put enough effort in finding a new console to get my hands on one to revisit my favorite childhood game. Even after I grew up and had the faculties to find a way to play it again, I became wary that doing so would ruin the special memory of it from my childhood. How could I possibly still enjoy the game as anything more than a sentimental, nostalgic artifact when I could explore and interact with complex, detailed, high-definition game worlds right on my Xbox? When I thought back on it, I remembered the basic structure of the game, as it was replicated in the Paper Mario pseudo-sequels of which I also cherish, but I remembered very little of its specifics and what made it unique. I feared that there may no longer be anything unique about it; that I would now find it a dull, shallow experience compared to modern-day, blockbuster RPGs. While cleaning through some old junk in my room back home, I came across my broken snes and my copy of Super Mario RPG, sparking massive waves of nostalgia and past disappointment. I realized that I just had to play it again, even if doing so would change the way I view it. After learning a little bit about emulators and roms, I was able to boot the game up on my computer and play it for the first time in nearly 10 years. The first few moments of the game lived up to all of my expectations, with the amazing soundtrack in particular instantly transporting me back to my childhood days. Before I delved too far in to the game though, I made the conscious decision to pay close, critical attention during my play through. I wanted to see if Mario RPG is really as good as I had mentally praised it over the years, or if I’d only cherished it for being a massive source of childhood nostalgia. I didn’t want emotions to cause me to overlook the faults of a now clearly dated game. My experience was interesting and somewhat mixed. At its core, I found that Super Mario RPG remains a competent, if simplistic, RPG with spectacular graphics for the era, clever writing, an awesome soundtrack, and a remarkable sense of style. 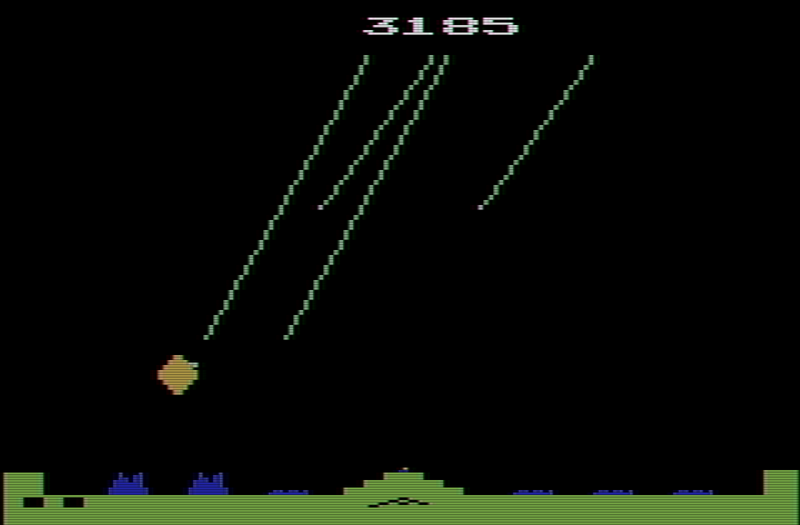 There are, indeed, a number of noticeable faults and blemishes littered throughout the game that I never noticed as a child, but surprisingly, the game remains a singular, absorbing, and refreshingly light-hearted quest, the kind of which is often absent in today’s market. 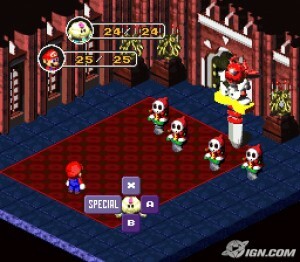 Despite thoroughly enjoying my replay of Super Mario RPG, my fears of replaying it weren’t entirely unfounded. Though a quality game overall, RPG obviously doesn’t live up to some of the amazing accomplishments in the modern era of gaming. I realized that it is no longer the boundary-pushing, eye-popping experience it was for me as a child. While I’m still shamelessly taken aback from certain elements of the game, its overall construction is not a masterful one, a fact that I can’t hide from any longer. In a way, this did ruin the allure of the game for me, but I still had a remarkable time re-experiencing it and played from start to finish without boredom. 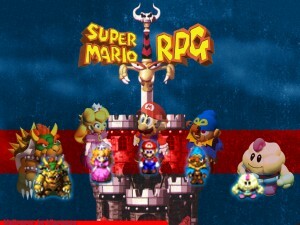 There are a number of other lost games from my childhood that I’d love to revisit, but my mixed experience with Super Mario RPG has left me more unsure than ever whether or not I should. Perhaps some childhood games are best left for the memory banks. ← Does COD 4 Deserve to be in a Video Game Canon? TLDR: Played an old game, wasn’t as good as I remembered. It would’ve been really nice if you had written out details about what specifically was good, and what the new games are doing that Super Mario RPG is not doing, or what Super Mario RPG got wrong compared to other RPG’s of that time. I also kind of disagree that going back to childhood games can be bad. Even if you have grown accustomed to better quality games, the experience and memories that you have with the older game contributes to the overall context of how you look at that game.